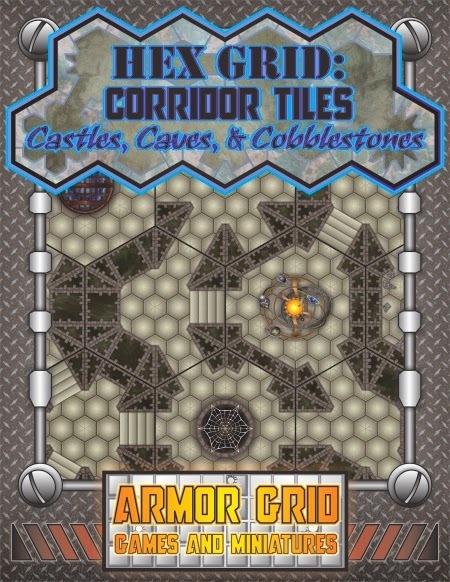 Armor Grid Games and Miniatures: Hex Grid: Corridor Tiles Now Available at WargameVault! Castle, Cave, and Cobblestone Backgrounds. 3/4", 1", 1-1/2", 2", 3", and 2" point-to-point "Hexa-Scape" Hex Space Sizes. Individual Block Stone and Rough Rock Wall and Stair Sections to build your corridors. Twenty Center Features for adding obstacles and objectives to your tiles. 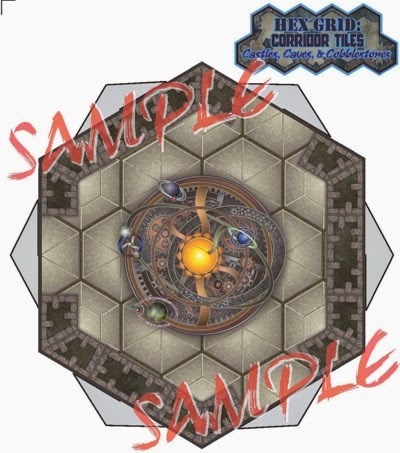 Center features include: Pit Traps, Water Pools, Clockwork Constructs, Magical Seals, Iron Gates, and many others! Terrain and Atmosphere Overlays for Darkness, Smoke, Fire, Water, Rubble, Vines, Sand, etc. Numbering Layers to create random entry points on the corners, flat sides, or both. Sketch Layout Page to plan your dungeons before you print them. 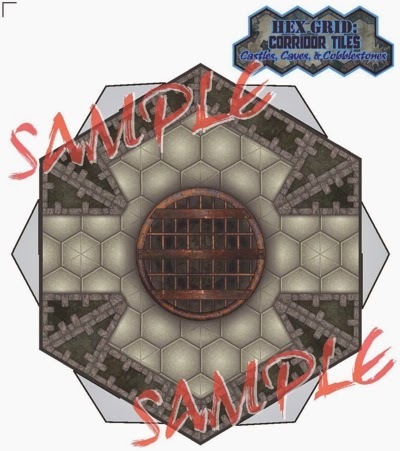 All Walls, Stairs, and Center Features can be printed without the background layers and cut out separately to be used as extra sections or tokens. 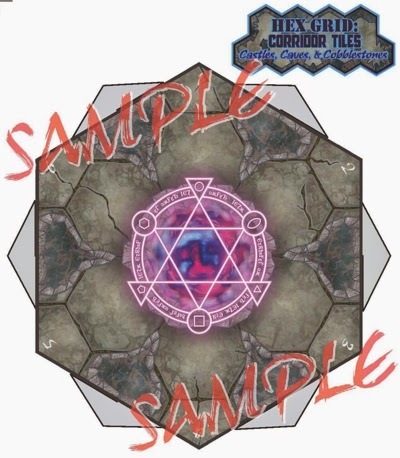 This corridor hex tile generator system is fully compatible with or battle field hex tile system: Hex Grid: Battle Tiles! 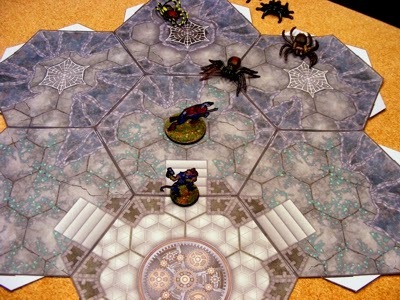 These tiles and layers are rendered in 300dpi for high quality printing. Please check out this LINK for more information!